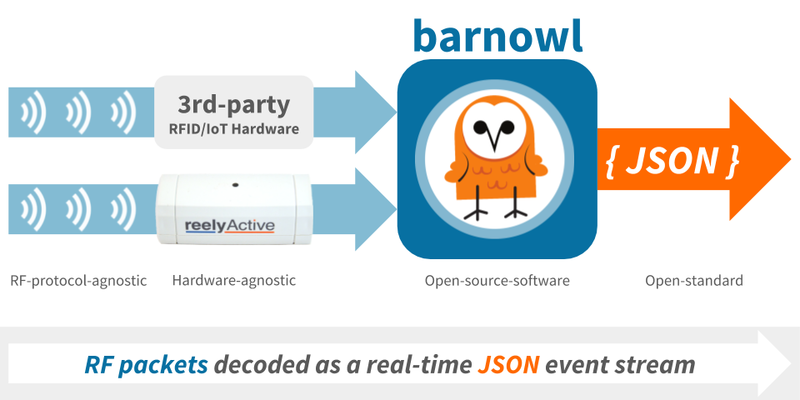 barnowl converts RF decodings into software-developer-friendly JSON. It abstracts away all the complexity of radio protocols (ex: BLE, RFID, WiFi, ...) and vendor-specific infrastructure to provide developers with a simple, standardised data structure to build software applications. RFID: what is present, based on the device identifier? RTLS: where is it relative to the receiving devices? M2M: how is its status, based on any payload included in the packet? barnowl is a lightweight Node.js package that can run on resource-constrained edge devices as well as on powerful cloud servers and anything in between. It is the keystone in the reelyActive technology platform, which includes a wealth of complementary software and hardware. Regardless of the underlying RF protocol and hardware, the raddec specifies what (transmitterId) is where (receiverId & rssi), as well as how (packets) and when (timestamp). Is that owl you can do? barnowl includes a TestListener (see the Hello barnowl! example above) while all other listeners exist as separate software packages to keep the code as lightweight and modular as possible. The following table lists all these listener packages which integrate seamlessly with barnowl in just two lines of code. barnowl supports multiple simultaneous listeners and will mix decodings of the same transmission from different sources provided that the enableMixing feature is enabled. For instance, the reelyActive Owl-in-One combines a BLE and WiFi source. In most use cases, enableMixing should be set to true except under extreme memory constraints and/or when absolutely no processing delay can be tolerated. Mixing decodings into a single raddec provides lossless compression and promotes efficient data distribution and processing. The Barn Owl has the best hearing of any animal tested. Since this middleware is effectively listening (via hardware 'ears') for all the wireless devices in a Smart Space, barnowl would seem a more than fitting name. Moreover, Wikipedia introduces the Barn Owl as "the most widely distributed species of owl, and one of the most widespread of all birds". An ambitiously inspiring fact considering our vision for a global crowdsourced infrastructure of Wireless Sensor Networks in the Internet of Things (IoT). Don't think we can top that? Well check out this quote: "the barn owl is the most economically beneficial species to humans". Yes, apparently the U.S. Fish and Wildlife Service is prepared to argue so. Too ambitious? Well, consider this quote from Jeremy Rifkin: "What makes the IoT a disruptive technology in the way we organize economic life is that it helps humanity reintegrate itself into the complex choreography of the biosphere, and by doing so, dramatically increases productivity without compromising the ecological relationships that govern the planet." 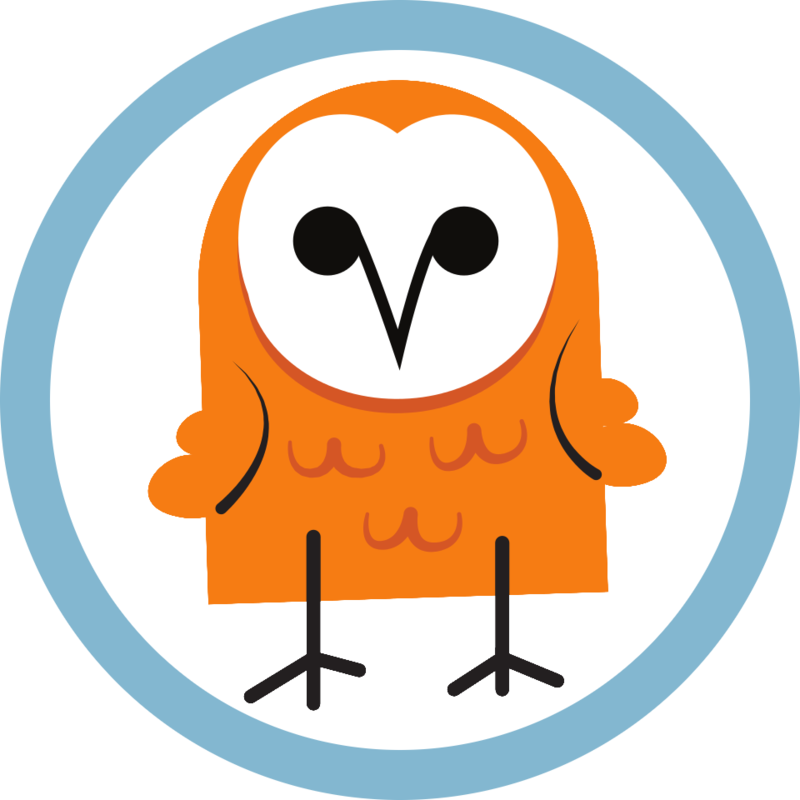 barnowl v1.0.0 was released in January 2019, superseding all earlier versions, the latest of which remains available in the release-0.4 branch and as barnowl@0.4.28 on npm.